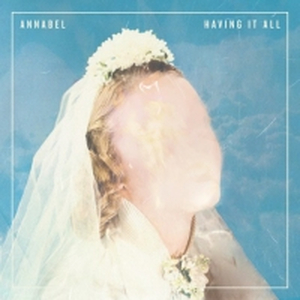 Annabel are a Kent, Ohio-based band whose four members sound like diligent students of emo. The hallmarks pulse through their music: jangling guitars, lingering syllables, trembling drums, crunching tones that swirl upward and finally settle. You can hear all of that in ?Everything,? the first single from the band?s upcoming third album, Having It All, which Into It. Over It. ?s Evan Weiss produced. It?s the kind of song-cyclone that emotionally decimates, its grand yearning stirring up memories you thought you?d outlived. When the amp buzz finally quits at the end, you?re leveled ? and it?s completely exhilarating. Listen below.